IT is the first stop for securing your data, and yet do you know who has access to your data? You should be asking this question regularly, whether to comply with regulations like Sarbanes-Oxley (SOX), or just maintaining security. That’s why our quick-to-implement, easy-to-use cloud-based platform supports single- and cross-application security and SoD analysis, audit trail, and identity management. With Fastpath Assure® as one of your business systems, you can setup new users within minutes, automating the user provisioning process. Understand what critical data has changed, and by whom. With Fastpath, executing IT administration and reporting to management has never been easier, and at a price that fits into typical compliance and IT budgets. When your business process owners ask who has access in your systems, you will have the answers at your finger tips. Designed for User Provisioning it provides a configurable approval process for new users. Tracks and reports changes in ERP with easy-to-use templates. Identify SoD conflicts in ERP security along with the specific security settings responsible for those conflicts. Sarbanes-Oxley regulations are complex, but there are ways to simplify it. 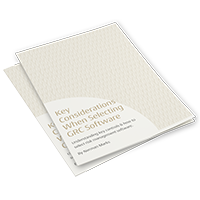 In this short E-book, Norman Marks focuses on simplifying your controls and other considerations when choosing your GRC software. Building A Strong Security Architecture for Oracle ERP Cloud - Protect your company with this Step-by-Step approach. 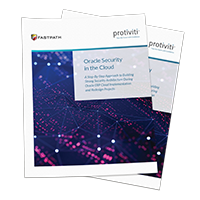 For companies looking to move to Oracle ERP Cloud, it is critical to include a strong application security design aimed to deter fraud, and ensure that transactions performed in the cloud are appropriate and authorized. Whether you're implementing or redesigning your Oracle project, follow this guide to achieve a secure Oracle ERP Cloud system and avoid the common pitfalls in the process. 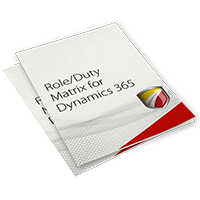 Building roles and implementing strong security in D365FO can be a daunting task, so we created a tool to assist in designing security roles for Dynamics 365 for Finance and Operations. 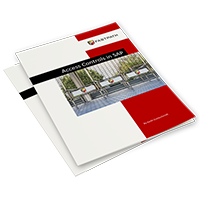 Whether you know the importance of access controls or not, implementing and maintaining them can still be a difficult part of your SAP security plan. The audit and security expert, Keith Goldschmidt, goes over what access controls are, how SAP handles them, how you should implement and maintain them, and even suggests some tools to make the process easier on you.